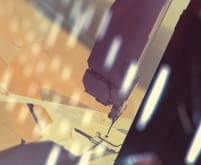 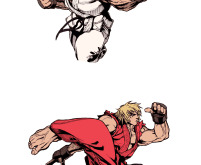 This illustration is made by Japanese artist Dai-Chan who worked on two Street Fighter Alpha games. 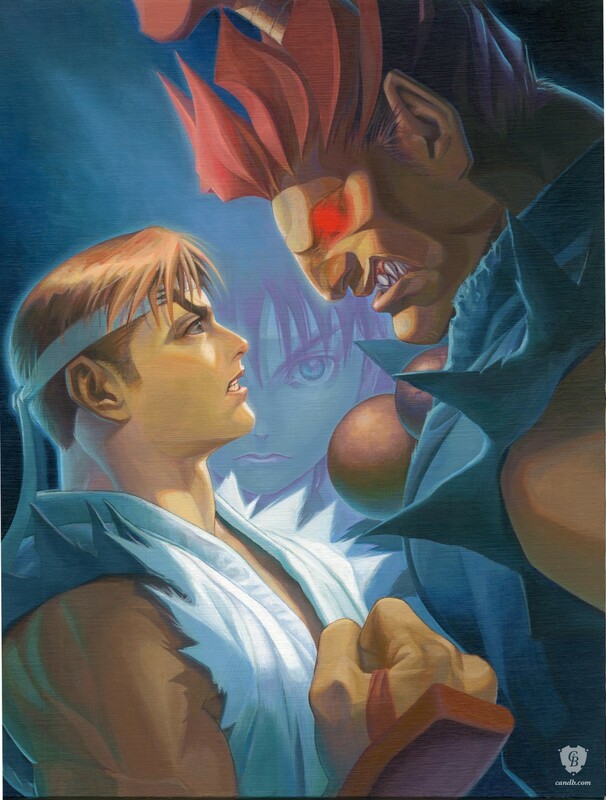 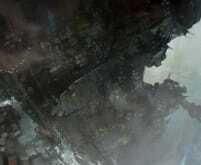 The print is a reproduction of a canvas painting that formed the main image for Street Fighter Alpha 2. 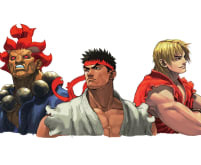 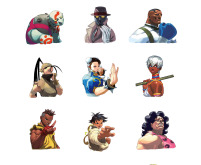 What's interesting about this image is that Akuma is depicted as being much larger than Ryu while in the games they are the same height.